(Next issue teaser): Our world is in a state of constant technological development. During the post-war period there have been major military technological achievements, much of which have spread to civil society. A rarely witnessed technological leap took place within the computer industry in the 1990s, processor speed doubled every 18 months and storage units rapidly became more effective. It became possible to develop the mobile telecommunications systems, which have subsequently been further developed in new generations’ technology. In the late 1990s electronics became more advanced in the vehicle industry and the number of computers started to increase substantially in vehicles to control individual functions. To develop more advanced functions, the computers in the vehicles needed to be connected together in networks for communication between different parts: engine, brakes and gearbox for functions such as automatic cruise control. The vehicle industry had long been regarded as an individual industry, with the power transmission chain’s efficiency and environmental impact a major focus, but skills were now needed to be able to drive the development forward within electronics and software. The challenges that the vehicle industry is now facing are no longer limited to the industry. Today connected service, energy and environmental impact, autonomy and AI are fundamental issues in all industries. Fully electrified power transmission chains are in their infancy, the intermediate stage of hybrid cars (electricity/combustion) still has a bigger share of the market. Tesla’s presentation of the first Model S has highlighted the fact that it is possible to mass produce electrified vehicles for a wider market. Within the heavy vehicle industry companies are investing large sums in electrification of the power transmission chain. There are many reasons for this, but it is primarily minimisation of fossil fuels that is driving the development. The development of self-driving vehicles is also in its infancy. The technology exists, and is used extensively in controlled environments such as mines. 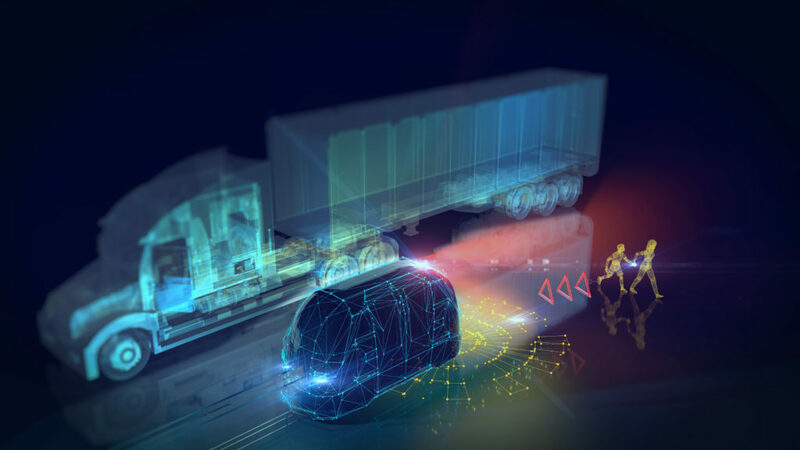 The technology for self-driving vehicles will drive development of more advanced electronics in the form of new and faster sensors. Calculation speed in self-driving vehicles will need to be increased together with increased bandwidth in the communication between subsystems. Some parts of functions will also require the vehicle to be connected, partly to other vehicles and partly to back-end systems. The telecommunications industry will thus have become a part of the vehicle industry. If the 1990s was the telecommunications industry’s decade, there is a major chance that the 2020s will be the vehicle industry’s decade. Views on ownership of vehicles will change and laws will need to be rewritten, nationally and internationally. The step of taking the technology out into open traffic will require a concentrated effort in terms of development in a number of different technological segments.